Central American families -- and children without families -- are still flowing north by the thousands, but the United States is seeing far fewer migrants at its southern border this year. That’s in part because Mexico has stepped up deportations -- and recently released figures show a major crackdown. Fewer migrants tend to cross the U.S. border from Mexico during the winter due to harsher weather conditions. But according to statistics from Mexico’s migration agency, deportations and detentions increased by more than 100 percent in January and February compared to the same period a year ago. More than 25,000 Central Americans were deported from Mexico in the first two months of 2015 – nearly double the figure from the same period in 2014. 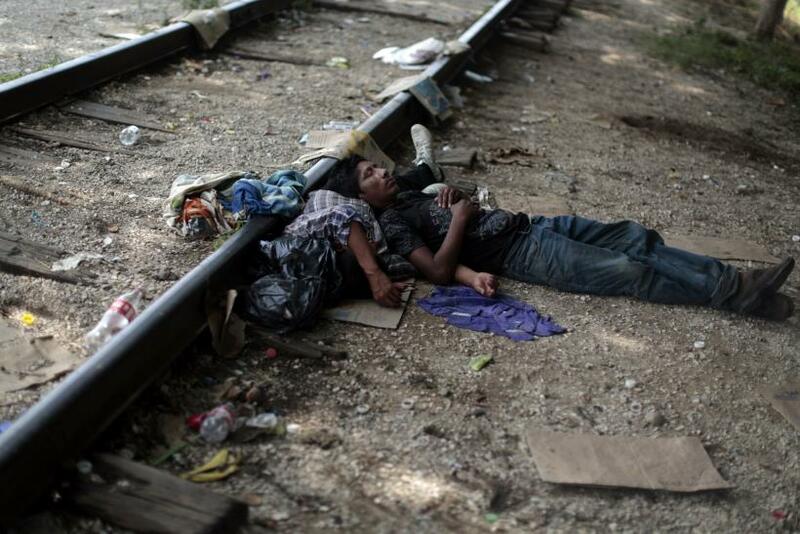 Mexican authorities also have ramped up arrests of migrants, detaining 14,026 people in January alone. That marks a 122.8 percent increase from January 2014, when authorities detained 6,295 migrants. The U.S. Border Patrol hasn’t yet released monthly figures for Central Americans caught at the Mexican border this year. But in five months, from October 2014 to February 2015, the agency apprehended fewer than 24,000 migrants from Central America – a 33 percent reduction from the year before and fewer than all the Central American migrants deported from Mexico in just two months. The number of migrants from Guatemala, El Salvador and Honduras flowing into the U.S. through the southern border surged last summer, overwhelming Border Patrol resources and creating what U.S. President Barack Obama called an “urgent humanitarian situation.” The influx is largely driven by people fleeing from violence in their home countries, searching for better economic opportunities or reuniting with family members already in the United States. Mexico has been cracking down on illegal migration under the Southern Border Plan, an initiative launched by President Enrique Peña Nieto last year that has reinforced security along known migrant routes. But while the program has driven up the number of deportations, Central American migrants have reportedly sought more dangerous alternate routes that have put them at higher risk of being kidnapped or extorted by criminal groups. Meanwhile, U.S. Vice President Joe Biden has been pushing for a $1 billion package to address the migration crisis in the so-called Northern Triangle countries -- El Salvador, Guatemala and Honduras – including funds to bolster security forces, stem corruption and build investor confidence in the region. The U.S. also launched a refugee processing program in all three countries earlier this year to allow children to apply for refugee status in the U.S. without having to make the dangerous northward trek.